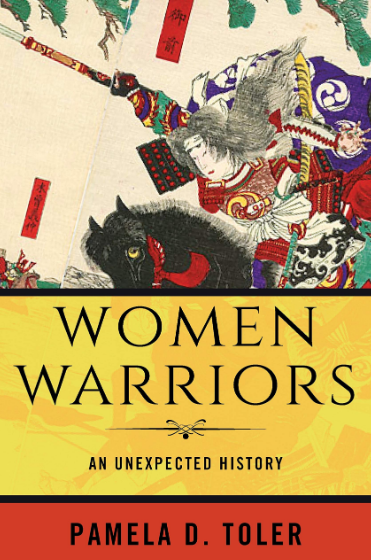 Women Warriors: An Unexpected History by Pamela D. Toler is a fascinating non-fiction read accouting women warriors throughout history. I’ve always been interested in women who went against the norms of their times and charged ahead for future generations, and Women Warriors goes a step further by giving context to these women. While some indeed went against the norms of their time and culture, there are some that were very much apart of their culture such as the Dahomey Mino (think the Dora Milaje of Wakanda in Black Panther) who fought on the front lines for their King. On the other end of the spectrum, Toler also argues the regularity of women as partcipants in wars throughout history as fortification builders, siege wall trash talkers and object throwers, in addition to the traditional image of nurse and camp follower. Of course there are extraordinary cases like the famous Joan of Arc, but Toler brings to light many women who fought in armed combat out of necessity. Soldiering was a steady paycheck, and it was also an outlet for women who had lost their men folk in war, while others followed their husbands, lovers, brothers, etc into war. Necessity was something Russia often experienced in the lacking of “man power” in their armies. With thousands of men dying at the front in WWI, men were in short supply and so the Tsar himself could not say no when Maria Bochkareva wrote requesting permission to join up. He approved, and she went on to form the Women’s Batallion of Death. Bochkareva would set the precedent for Russian women during WWII, where their roles were expanded to snipers, bombers, tank drivers, and fighter pilots. Toler acquaints her readers with women warriors from the ancient world, all the way up to the 20th century, from all over the world. While I was familiar with some of the women, there were many I was not. These womens’ lives have inspired me to research more so that others may learn about them as well. Often jumping from time and place, Toler always offers a historical and social context when illuminating each woman’s story so that the reader can get a general sense of what is being discussed. Surprisingly, often these women were not exceptions in periods where hand to hand combat and war was a daily reality. Toler dispels myths and stereotypes, while at the same time offering stories of both “ordinary” and higher class women. Her writing style is down to earth and sassy, which I appreciated. A fascinating read all around!